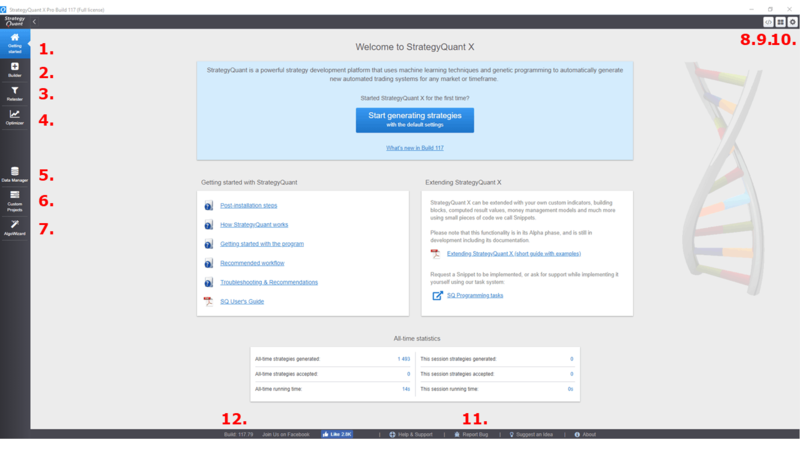 When you’ll first start StrategyQuant you’ll see the main screen as in the picture below. The program functionality is divided into tabs on the sides. Builder – tool to build new strategies or improve existing ones. The core of the program.